The transparent Dry Packs are made from a reinforced translucent foil. It’s bright inside the bag and you can see from the outside what’s inside! The base is made out of an extra heavy duty material and comes with a bottom loop for fixing. The smooth and soft material of the transparent Dry Packs makes the closure easy and provides a tight seal. 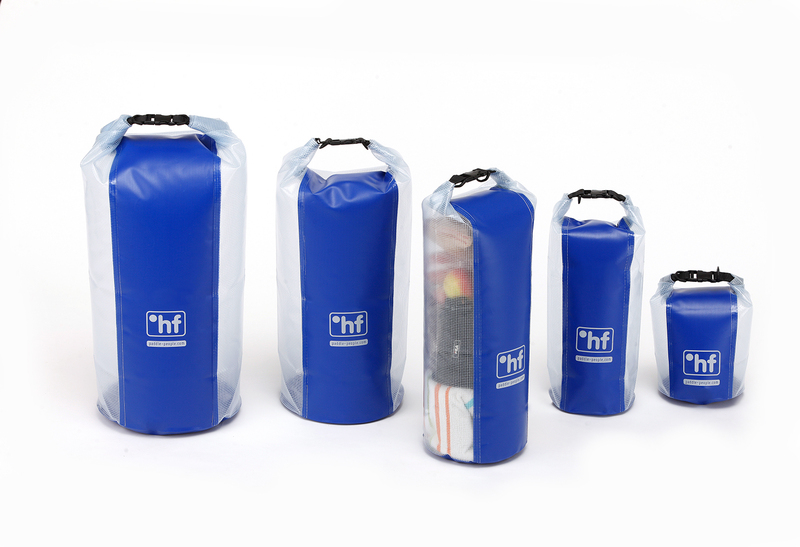 All °hf Dry Packs are made in Germany.